West Bromwich Albion lost heavily to Derby County yesterday evening in our midweek Championship clash. Jay Rodriguez’s late 83rd-minute goal was only a consolation in a 4-1 defeat by Frank Lampard’s side and although there wasn’t a lot between the sides statistically, they did edge the game but whether they edged it by four goals is open for debate. It was a poorer showing once again though but we’ll have days like that. 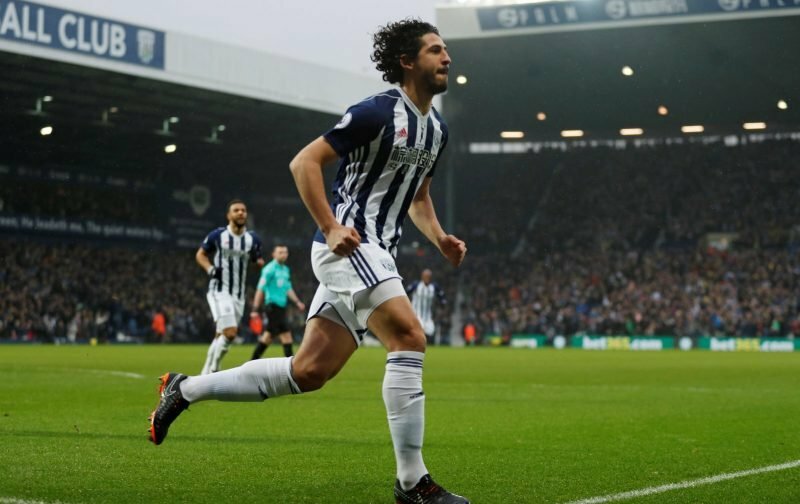 A noticeable omission from the starting lineup was Ahmed Hegazi and it had been confirmed shortly before the game that he would be missing with a hamstring injury. Hegazi has a tight hamstring by the way. Interesting to see which CB plays the sweeper role in his absence. With no clear indication yesterday evening on how long the Egyptian international could be missing, short of the line that he was a speculative doubt for this weekend’s tie against Blackburn Rovers, despite being on the end of criticism for his defensive performances so far this year, there will be a number of West Brom fans hoping he makes the game in time purely on the back of last night’s showing given the scoreline.